You can order my books from my Amazon Author Central page at this link. Follow me on Goodreads, the world’s largest social media site for readers and authors at this link. 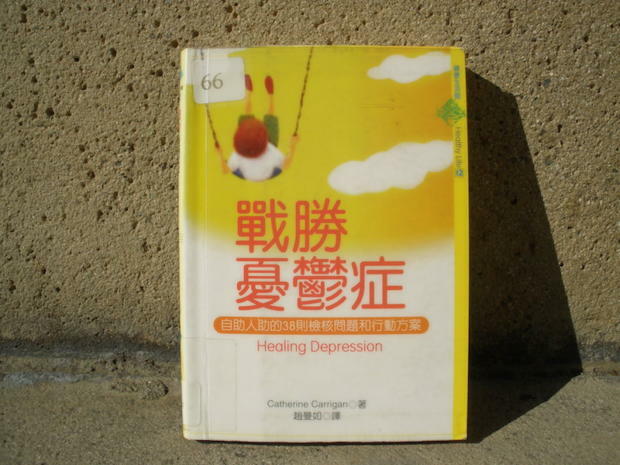 Healing Depression: A Holistic Guide (New York: Marlowe and Co., 1997). 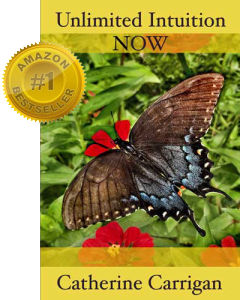 Bestselling book of the original publisher, Heartsfire Books. Went on to be published in Chinese. What Is Healing? 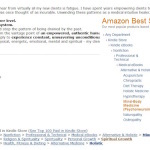 Awaken Your Intuitive Power for Health and Happiness has 31 five-star reviews on Amazon. Learn how unconditional love can awaken your intuitive gifts. Reveal how to open your heart to access your highest intelligence. Uncover how to communicate with your angels and spiritual guides. Awaken your own psychic abilities. Identify the key aspects of a medical intuitive reading. Discern how addiction to staying sick can keep you from healing. Reveal the blessing behind a mental or physical breakdown. Grasp the four key difficulties that lead to health problems. Empower your own spiritual growth. No. 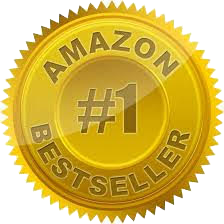 1 Amazon Best Seller! Amazon No. 1 Best Seller! Explore the five levels of healing. “What is healing?” asks Catherine Carrigan as she begins this book. It is a question that resonates with all of us; for, at some time in our lives, we have all experienced pain, suffering, and feelings of isolation. But, as she writes, when we come to know ourselves from a deeper perspective —taking into account the great connectedness we as humanity engage in all time—we are able to access pathways of information and healing that unlock a whole new world for us. The way to begin is to understand the nature of unconditional love. In What Is Healing? 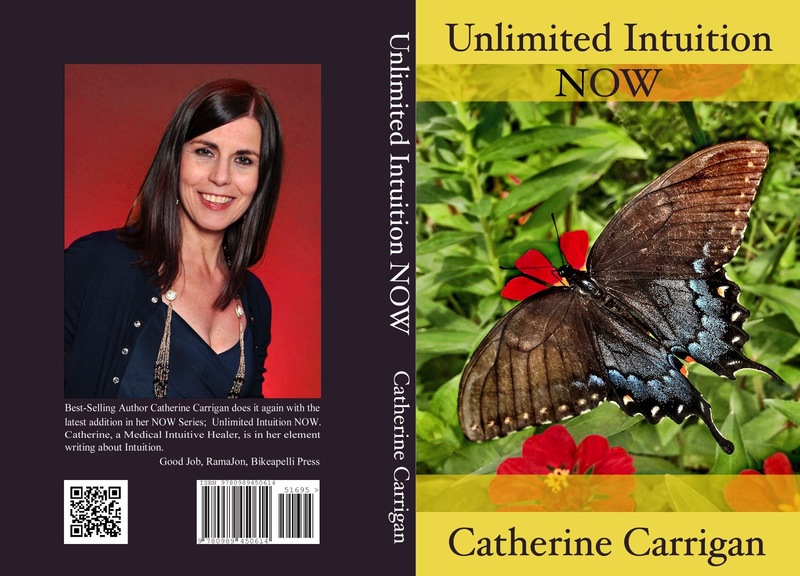 Awaken Your Intuitive Power for Health and Happiness, Catherine Carrigan lays the groundwork for anyone interested in learning how to make effective change in the world. What Is Healing? Awaken Your Intuitive Power for Health and Happiness is now available in paperback through our webstore. Please visit http://shop.totalfitness.net to order your copy today. Available as a paperback, ebook and audiobook read by Holly Parsons. Number 1 Amazon Best Seller In TWO Categories! Banish the Blues NOW addresses HEALING DEPRESSION WITHOUT DRUGS using NATURAL HEALING remedies. Outstanding Read: This is the best book I have ever read. It’s an amazing journey into what’s really achievable. It’s a must read if you are looking to get to the highest level of consciousness possible. I read this book in a day! Sensational read! Thank you Catherine. What is Healing is one of the best books I have ever read, and I read a lot. This gem is filled with insightful information that is practical and easy to apply. It’s a quick read – with 84 short chapters. Some of my favorite topics are about opening your heart, unconditional love, recognizing your gifts, and the 5 levels of healing. Catherine Carrigan has a very personal way of writing. It felt as if I was reading her personal journal about the wisdom she has earned in all her years of being healed and healing others. I highly recommend this book to anyone who wants a healthy, energetic lifestyle the natural way. Ms. Carrigan is a “professional health intuitive and holistic healer” who has had her own formidable healing journey. This gives her words an authenticity that can only come from lived experience, and there is both great depth and breadth to her shared insights. She says: “My goal in this book is to teach you how to access unconditional love in your life and, in so doing, open up your intuition–available to you so long as you learn how to love deeply and with your whole heart” (page 16). I have been reading about health, healing, and spirituality for more than 40 years, and I haven’t found another book that speaks of this connection, nor so effectively describes and models what it is to be loving with oneself and others. Certainly this is the foundation not only for healing, but for living a peaceful, joyful, and fulfilling life. For anyone seeking healing for themselves, or for practitioners of the healing arts, I’d recommend What is Healing? as a terrific resource. It provides easily-grasped tools for healing on the deepest level, greater understanding of what we are as beings, and guidance toward unconditional love of self and for all that is. May this book bring all its readers the healing they need and want, and more! What is one of the first things we do when we get a cut, scrape, or burn? We look for ways to take away the pain and, if we’re smart, we make sure to protect our bodies from harmful infections that could potentially make our injury worse. But are we as savvy or as forthright about healing ourselves when it comes to emotional or spiritual wounds? Psychological ones, even? These and other questions are addressed in Catherine Carrigan’s latest book, What Is Healing? Awaken Your Intuitive Power for Health and Happiness. In terms of our internal health and happiness—not just our physical health, but our mental, emotional, and spiritual health as well—it’s important to know that we have the power to address key components of our lives simply by turning within and asking the body what it needs to improve. But this cannot be done willy-nilly, as Carrigan writes, and it can’t be gone if we have not first learned to be in-tune with our bodies. While this does take some practice and discipline, the important thing is that we come from a place of neutrality: a safe place where our emotions and thoughts do not have weight enough to influence the outcome. Once we have established a way to reach a state of neutrality, we can learn to see everything from a heart-centered place, what Carrigan believes gives us access to our intuition and, therefore, our gateway to true, meaningful happiness and joy. Catherine Carrigan calls herself a health intuitive and kinesiologist—someone who uses intuition on a daily basis to assist her clients in dealing with pain and suffering of all kinds. 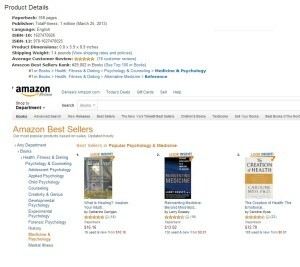 Her first book, Healing Depression: A Guide to Making Intelligent Choices about Treating Depression (Heartsfire Books, 1997), revealed scientific studies and personal anecdotes about how depression and other forms of mental illness may be linked to environmental, nutritional, and other external factors. The factors are often not discovered by doctors. By offering alternative diets and new perspectives on how one can address mood disorders, she created a platform for honest discussion about the role of anti-depressants in the treatment of mental illness. In her latest book, she shares many more stories about working with her clients while sharing with readers how she was able to overcome some major setbacks in her own life. Personal growth—and thereby personal transformation—is not a linear process, according to Carrigan: it first starts with the intention to heal and then providing the space for a person to make intelligent choices that lead to a happier and healthier life. While Carrigan’s extensive knowledge of Eastern medicine, bodily energy systems, and spiritual vocabularies are compacted into an easy-to-understand format for any reader, the message is very simple: when we approach all that life has to offer from the standpoint of unconditional love, we can dramatically affect the amount of love that comes to us. And we have access to higher vibrational gifts that can assist us in any situation that life has to offer. This book is designed for anyone who wants to have a deeper relationship with themselves. Since happiness is the end goal of all human life—at least according to some philosophers and thinkers today—it seems to be a foregone conclusion that the better we know ourselves the happier we will be. The tools provided in What Is Healing? provide such access. It encourages us to ask the right questions (i.e., How much love is in a particular object?) and provides pathways for us to achieve our ultimate goals in life. Anyone who is actively seeking to improve the state of their lives, is dealing with pain or suffering of any kind, or who is ready for a new outlook on life, is strongly encouraged to read this book. We all have a range of talents including intuition, at least to some degree. However, if most people are like me we tend to ignore our internal guidance in favor of intellectual musings and positions. By highlighting the path to greater intuitive awareness this book sheds light on the path toward receiving messages from the best source possible: the true self within. I’m now working on paying greater attention to developing and following my own guidance after having neglected it for far too long. 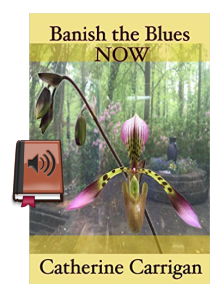 This easy to read compilation of short chapters about the author’s life and sessions with clients provides an attention grabbing peek at the inner workings of a highly intuitive healer. Recommended. Catherine has written an insightful look at the power of the human heart, mind and body. Her personal experiences enrich the journey she takes you through. Using common sense and wit, every page delivers useful and beneficial advice to promote healing. This is a very enjoyable and easy read, which will leave you well informed and inspired to use your own intuition through unconditional love, to better yourself, and all of those around you. I purchased a copy of Catherine’s book at her book signing and promptly came home and put it on my bookshelf. I felt no need to read the book; I was seeing her regularly for healing sessions. Then she asked me to write a review so I actually had to read it. After just a few chapters, I told her I was so glad she made me read it because it’s so beautiful and very touching. From the beginning, Catherine’s gentle sincerity and compassion and unconditional love shine through like a beacon over the darkness that is our pain. Her simple truths about health and illness allow healing to begin as we digest her stories and information. There are 84 chapters in this book, yet they are short and easy to read. And profound. The book is not a treatise on the scientific aspects of healing but a do-it-yourself process of understanding why we are in pain and how to resolve our issues. I highly recommend What Is Healing? and bless Catherine for this gift. I really enjoyed reading WHAT IS HEALING? This wonderful book delivers more than the title implies. 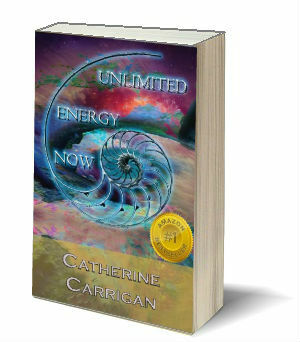 In it, Catherine Carrigan shares her own story, which makes the book come alive. When I finished reading it, I wanted more from this talented author. What Is Healing? is a wonderful book. Easy to read, and packed full of information that will enrich your life and teach you how to be more in tune to the power of unconditional love. 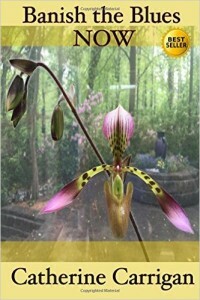 Catherine has put her heart into writing this book, as she dose with all her healing. She has opened her life to us and sheared some of the most personal experiences so that we might benefit from her life and all she has learned along the way. I found that intuitive power is available to all of us if we only open our hearts. This is such a good book I am sending a copy to a friend. Catherine is an amazing healer, and her new book has very valuable insights into getting out of our own way in order to facilitate healing in every area of our lives. It starts with forgiveness and moving away from judgment, of others and ourselves. Thanks Catherine for leading the way! I have the Print as well as the Audio book for What is Healing? Catherine has chosen an excellent reader to bring out her message on how we can take control of our own healing. This is a time-less audio. You can listen to it over and over and get a new message each time you listen. Catherine writes about real life stories that anyone can easily relate, whether it’s their own current situation, or something that may have happened to them in the past. By doing this, it helps to solidify that this book isn’t for just for someone else; it’s for everybody. Thank You Catherine, for allowing us to be a part your Wisdom, Truth, and Experience, so that our own journeys are full of Life, Love, and Healing. Catherine has been a client of mine for over ten years now. 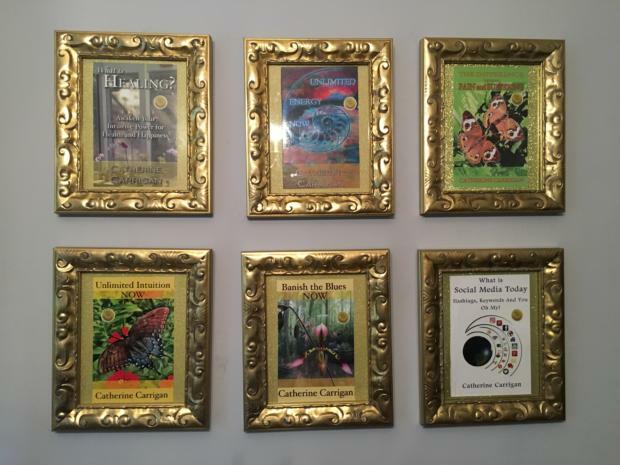 A few years into working for her on her gardens and landscape, her Qi Gong work aroused my interest and I realized very soon after that Catherine has many profound gifts to offer, and I have been a client of hers as well ever since. I have worked with her to overcome some very difficult personal health issues. For example, once I was having an acne problem and even though I had began working with Catherine prior to the onset of this bad acne, my knee jerk reaction was that I needed to see a dermatologist M.D. for this problem. After being prescribed antibiotics for acne over a 6 week period my health was really worse than ever, my acne was not showing even the slightest bit of improvement, and the only course of action the M.D. was offering me was additional antibiotics, so I went to Catherine, who I now go to first with any and all of my health related problems no matter what they are. Catherine uses a holistic approach drawing from numerous disciplines and providing a synthesis that is what I consider to be at the forefront of alternative medicine today. I feel very fortunate that I have her to call on when I am facing any difficult situation or problem in my life. She helped me to illuminate the areas in my life that I needed to change and provided supplements, energetic healing, and coaching sessions to help with those changes. When I finally accomplished the task of making those (not so easy) changes in my life, my acne finally went away completely, meanwhile other health issues in my life were simultaneously addressed because in many ways they were interconnected. In this new book by Catherine she offers an enlightened perspective on her approach to healing, giving us background and discussion of what she does and how she does it. Wonderfully interspersed with some of my favorite quotes of all times, some I have heard before and some that are new for me. I really love the quotes and the book is easy and fun to read. You would have read and draw from a voluminous variety of sources and materials,to find all of the information and energy that Catherine has eloquently interwoven together in this book, I highly recommend and think that everyone needs to read this book! When I started the book, piqued by my curiosity, the alternate interior voice was suggesting “another spiritual book? You know this ‘stuff’already!”. Well, was I gladly surprised. Catherine’s easy writing style has put a whole “encyclopedia” of guiding thoughts for one’s intellect, appealing to those days that our ‘brain’ is “on”, and also, guidance suggestions to our soul, to the inner thirst constantly looking for the quenchers of empathy and loving understanding. In its pages one finds hard factual stuff, real-life witnessing accounts – no “polyanna-isms”- and also threads that wind their way to the inner spots that so need a warm word, a hopeful possibility, a balm to our shame and littleness. I highly recommend “What is Healing?”for in each theme one finds…maybe she intuits our present need, and meets it, someway, somehow. BTW, I did not read sequentially, but at random, opening the book where it wanted to, as if she were present, leading the topic. Very significant, rewarding. WOW! I listened to the CDs, and I found myself sitting in my driveway for almost a half hour because I didn’t want to pull into the garage and stop listening! 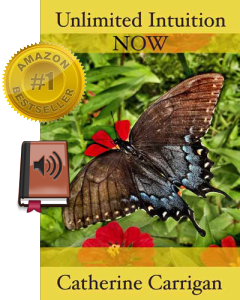 Catherine’s ability to convey healing principles through stories is captivating and empowering. I learned so much, and now I’m enjoying applying it into my every day living. Can’t wait to listen to it again. 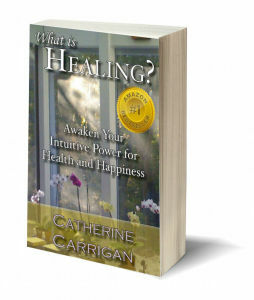 Catherine Carrigan’s book, What is Healing? Awaken Your Intuitive Power for Health and Happiness, helped me to go further in my understanding of spiritual healing and the mind-body connection. It offers much insight into the five levels of healing (physical, energetic, emotional, mental, and spiritual) and overall well-being. I appreciated Catherine’s honesty and the stories shared that highlight her journey in the use of kinesiology and her spiritual gifts, as well as assisting others to awaken their own intuitive guides. What is Healing? is a great resource book. There’s simply a lot of good stuff here to accompany you on your individual healing path. What is Healing? is available to readers in various forms and formats. It should be read, or listened to, by anyone ready to turn away from prolonged self-injurious behavior, anyone ready to consider vital and refreshing ways to empower themselves. Catherine’s own life is a model openly shared, and while uniquely her own, one anyone might profit by. Kudos to this writer’s forceful accomplishment. Catherine is a genius. She makes the reader think “out of the box” and beyond. I enjoyed the way she follows her statements and beliefs either with examples or research. She can back up how she feels or sees things in life with true stories and examples of great human courage. I learned a lot from Catherine’s book and will have to read it again so I can learn more! GREAT Book! 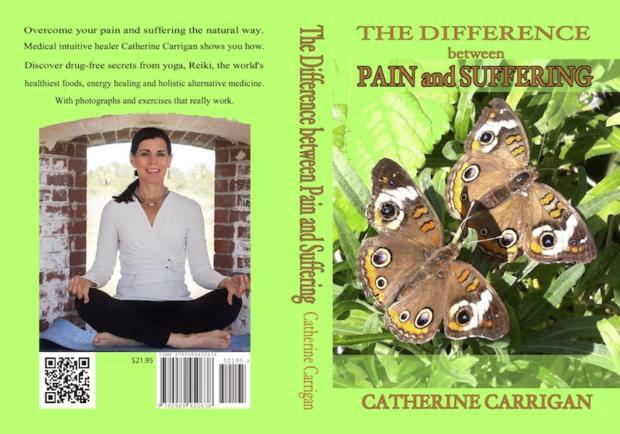 A nice combination of Catherine Carrigan’s personal stories of healing combined with LOTS of health information. I was able to apply the information immediately. Catherine Carrigan has personnally journeyed through the many layers that represent the existence of multiple dimensions that comprise Human health. She has discovered through keen observation and scientific analysis a new rubric for healing; successfully applying her knowledge and abilities to the comprehensive healing of patients in her practice for decades. This book is suitable for anyone devoted to permant healing – as the development of intuitive abilities particularly for healthcare providers is essential to supporting patient wellness! Catherine Can Help You Heal. She has intuitive powers and shares her wealth of knowledge openly. Her kind spirit shows in everything she touches. After years of training, philosophizing, meditating and internal growth Catherine shares her world of healing to us all through her book, “What is Healing: Awaken Your Intuitive Power for Health and Happiness.” She has counseled me many times and I have grown spiritually because of her work. A great book for anyone who’s interested in healing themselves, or in helping others to do the same. Catherine has taken a vast and potentially complex topic, and explained in a straight-forward, simple and accessible way. I’ve been interested in healing and holistic health since 1998 and have ready many books on the topic; `What Is Healing’ is right up there with the best of them. I highly recommend this book to anyone with even the slightest interest in maximising their health, happiness and longevity. I have just read “What is Healing?” written by Catherine Carrigan, practitioner in whole body healing that embraces mental, psychological, emotional and physical elements of the whole person. The author’s approach to this procedure is amazing. She narrates from a very personal level revealing events from her own life that led her to becoming a qualified practitioner. The grammar and syntax are simple, straightforward and very legible. Her style of writing will appeal to anyone who can read. Her format is very attractive. The reader can read any chapter as a separate nugget, or, follow sequentially from Chapter 1 to the conclusion of the book. She provides quality information that every person should be aware of and incorporating into their own lives. This is not a textbook, yet it contains age old information that would be considered textbook earned. The author is a very beautiful writer and any reader will be uplifted by its contents. I am new to the study of energy and healing. I randomly selected the audio version of Catherine’s book, and as soon as I started to listen to it, I knew it was exactly what I need in my life now. In recent years I have experienced serious medical issues that led to deteriorating health and eventually to my total collapse. After I had to be resuscitated, maintaining and improving my health became my highest priority. A couple weeks ago, I was listening to Catherine’s book while taking a walk, and I ended up running four miles without any prior conditioning that would have enabled me to do so. In the week that followed, I tried to run that distance again and found I could only do it while listening to her book. Somehow her work and her words gave me the solid foundation I needed to move ahead and become stronger, beyond anything I would have thought possible in so short a time. I visited her website and had the privilege of talking with her in person by phone. I started to practice the Five Tibetan Rites every morning, as she recommended. Her book has helped me to find what I need to rebuild my health. I strongly encourage you to read or listen to this incredible book. It will help you find what you need to take care of yourself, in whatever way you need to do that.